Government ministers from 18 countries and more than 80 chief executives from leading oil and gas companies will meet in the UAE capital next week as 2018 Abu Dhabi International Petroleum Exhibition and Conference (Adipec) commences amid a background of unprecedented change for the industry. It is being held under the patronage of His Highness Sheikh Khalifa Bin Zayed Al Nahyan, President of the UAE and hosted by the Abu Dhabi National Oil Company (Adnoc) with the support from the UAE Ministry of Energy, the Abu Dhabi Chamber, and the Abu Dhabi Tourism and Culture Authority. 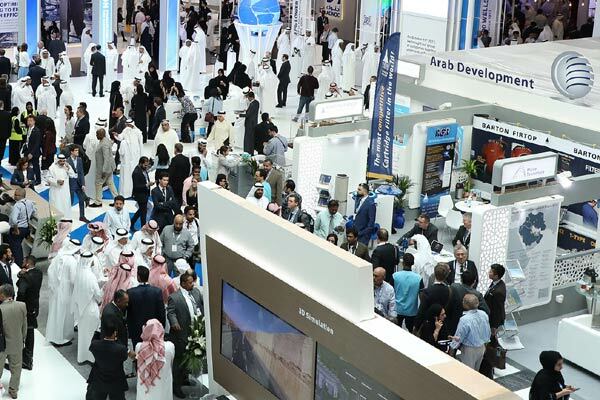 One of the world's leading oil and gas events, Adipec 2018 will run from November 12 to15 at the Abu Dhabi National Exhibition Centre (Adnec). Major challenges for industry decision-makers include an increasingly complex energy market, historic east-west shifts in global economic power, and a rapid acceleration in technological innovation, said the organisers dmg events. The UAE and Abu Dhabi are leading a positive response to mega-trends impacting the industry, committed to remaining a stable, reliant and consistent energy supplier to world markets, it stated. Adipec places Abu Dhabi at the heart of a global dialogue, convening government, oil and gas industry professionals, decision-makers and influencers, to address tomorrow’s energy challenges today, it added. “Abu Dhabi is at the pivot point of historic shifts in economic power, international trading demand, and strategic and technical influence,” remarked Christopher Hudson, President – dmg events. “The strong support from international government and corporate leaders is a recognition of the emirate’s central role in global oil and gas industry growth, and Adipec’s value in identifying opportunities, forging partnerships, and ensuring the secure and stable energy supply needed to meet future local and worldwide demand,” he noted. Suhail Mohamed Al Mazrouei, UAE Minister of Energy and Industry will lead the ministerial-level discussions during Adipec alongside Omar bin Sultan Al Olama, UAE Minister of State for Artificial Intelligence. UAE Minister of State and Adnoc Group CEO Dr Sultan Ahmed Al Jaber will be delivering a keynote address on November 13 at Adipec. Ministers for oil, natural resources or energy from across the GCC and Mena regions, sub-Saharan Africa, Europe, Asia and the Americas will represent international governments, including major oil producing nations and significant customers. The high-profile attendees include Khalid Al Falih, Minister of Energy, Industry and Mineral Resources of Saudi Arabia; Alexander Novak, Minister of Energy of the Russian Federation; and Dharmendra Pradhan, Minister of Petroleum and Natural Gas of India. They will hold private discussions, as well as take part in Ministerial Sessions as part of the Adipec Strategic Conference. Mohammed Barkindo, Secretary General of Opec and Dr Sun Xiansheng, Secretary General of the International Energy Forum, will also speak during the event. The top chief executives of major national oil companies and IOCs from around the region and across the world, including Adnoc, CNPC, Saudi Aramco, BP, Eni, Lukoil, Petronas, Gazprom, Sonatrach, Satorp, Borealis, Cepsa, Nova Chemicals, Equinor, Pemex, and ONGC, as well as significant oilfield services groups and technology majors operating within the oil and gas sector. “The headline speakers at the event are the same policy-makers and business leaders whose decisions will shape the future of oil and gas,” remarked Hudson. “Their dialogue in Abu Dhabi will set the agenda for a thriving industry and economic growth, underpinned by people, partnerships, technology, and bold and innovative thinking,” he noted. The Adipec 2018 Strategic Conference will include three Ministerial Sessions, 10 Global Business Leader Sessions, 11 C-Suite Dialogue sessions, and two CEO Finance Breakfast Briefings.